For a limited time at Sanctuary buy an Insight Shampoo and receive the Conditioner FREE. T&C’s Apply. Ask in store for details. Our consultants and stylists are both highly trained and passionate, sharing the philosophy that ‘you’ are the most important person in the salon. At Sanctuary we welcome you to be our guest. We invite you to experience tailor made services with our highly trained and dedicated team. 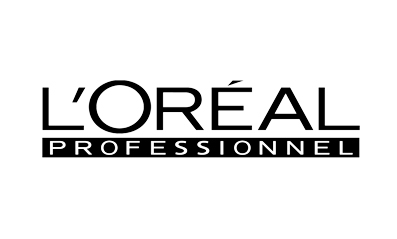 We use only the best brands – L’Oreal Professional, Kerastase, Insight, Kerasilk by Goldwell, De Lorenzo, ghd, American Crew and Tigi. We believe in offering you the very best experience. Escape your busy world and join ours for a bit…. I came to Sanctuary 8 years ago, and from the moment I walked in I was made to feel welcome. I love the way I am greeted by name. I never have to wait long to be seated and my hairdresser comes to check If I am still happy with my colour and style or would I like a change as soon as I am seated. While my colour is being mixed I am given a coffee and water. The girls check I have reading material, and during the colouring whether I need another coffee. A relaxing head massage tops off the shampoo. As I leave other stylist give positive comments on my colour and cut. Next the wonderful Manager or owner checks my appointments are up to date and personally say goodbye. This hairdresser is aptly named because it is my Sanctuary. A big heartfelt thank you to the wonderful team at Sanctuary for Hair for always making my visit special. I am looked after from the moment I walk in, and appreciate the cups of tea, magazines to flick through, the glorious head massage/shampoo, to the exceptional colour, cut and style. It is a team effort which is not only noticed but makes a good experience great. No matter who looks after me, I know I am always in good hands. The talented team at Sanctuary for Hair not only work well together, which creates a great atmosphere, but are passionate about what they do, which assures me of a great result every time. Elie, who has been looking after me for many years, is a master of his profession, when it comes to colour, cut and style, Elie is the trifecta.